Fiberglass is one of the most lightweight materials used by man today, and there are so many applications for fiberglass gratings today. Fiberglass grating or FRP grating is products that involve pultrusion of glass fiber. This process include of a pulling mechanism of fiberglass roving and continuous mats. The fiber then being impregnated with resin in resin bath and being pulled into a heated die to get the shape that customer need. 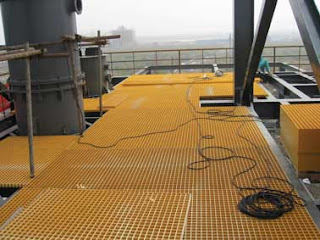 The main reason of using fiberglass grating instead of steel is the ability of fiberglass to withstand corrosion. Other than that, fiberglass grating are maintenance free, long service life and non conductive. 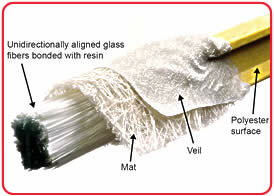 Resin that being used to produce this fiberglass grafting usually are Vinylester and Isopthalic Polyester. The grating can be used in either new application or for replacing existing application which is exposed to corrosive environment. The application can be found in all type of industries such as offshore, oil and gas, power plants, waste treatment, public facilities etc. Yes, fiberglass grating is great material that really lasts. Thanks for sharing the process and applications for its uses. I am glad opted for fiberglass grating, well not actually; you are now our competitor you see. Don’t worry you shall sail well; follow the instruction by Mr. Harry Bloxham. I wish all the best.